Arizona may not be in the path of Hurricane Irma, but it has its own weather problems to deal with every year. All summer and into the fall, the state gets hammered by the heavy rains and winds of the monsoon season. This year, the Phoenix Valley Area has already been pummeled by heavy rains, causing damage across the region. One of the most vulnerable parts of your home to monsoons is the roof. It has a huge surface area, and it’s the first things that rains and winds hit when they come. Nothing is protecting your roof – in fact, it is there to protect the rest of your home. If it is damaged, the rest of your home is vulnerable to damage, including rot and mold from water penetration. Severe storms can require expensive Phoenix roof repair or even complete re-roofing. Leaks are the biggest problem during storms, and when monsoons relentlessly pour down water and batter homes with heavy winds, leaks are highly likely. The cause of the leak is what varies. Poor roof design is one reason leaks occur. Flat roofs don’t allow for proper water drainage, and water pools on the roof. When we have a quick rain, the Arizona heat usually dries up that water pretty fast. But when monsoons hit, that water sticks around and more just keeps being added to it. Eventually, that water is going to find a way to penetrate through the roofing material and into your home. It can degrade the materials, and it can rot the roof and the materials inside your home. Neglecting your roof maintenance can also leave you vulnerable to leaks. Getting a qualified roofing contractor in Phoenix to inspect your roof and provide needed maintenance every year will ensure that little problems are caught and corrected early. Otherwise, you could have sagging areas of your roof, loose tiles, or other weaknesses in your roof that you don’t know about until a monsoon exploits them and makes them worse. Winds can tear off shingles or cause limbs to fall on and crack tiles. When roofing materials are missing or broken, they allow water to penetrate to the sub-decking, which can cause major damage. You can also get cracked tiles or damaged shingles during a hailstorm. These damages are much more likely during a monsoon. Part of your roof maintenance and care should include trimming branches that are hanging over your home and just keeping brush out of your yard. Regular roof inspections will also discover damaged roofing materials so they can be replaced quickly and minimize the risk of damage. A lot of people think of their gutters as separate from their roof, but gutters play a critical role to roof health. Monsoons can cause gutters to become loose, which can make them become less efficient at draining away water. Monsoons can also blow leaves, sticks, and other debris into your gutters, causing them to get stuck and to clog the passageway for water. Those blockages can cause the water to flow back up onto your roof or under your tile or shingle, causing damage to the roof and allowing leaks into your home. After a monsoon, you should check your gutters and your roof for any signs of damage so you can get monsoon roof repair as quickly as possible. You shouldn’t risk your safety by climbing up on your house or tromping around your roof. Call a roofing contractor for a proper inspection. AZ Native Roofing provides the emergency monsoon roof repair you need. Our skilled roofing contractors can be there quick after a monsoon to repair you roof and stop leaks or other damage. They will also inspect your roof to make sure that no other problems are present. That way, your roof will be sure to be ready when the next monsoon blows through. If you have extensive damage after a monsoon – or if your roof is just getting old – they can also perform re-roofing to improve protection to your home and refresh its look. 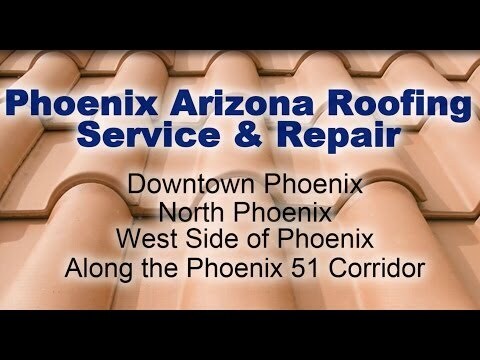 Call us in Arizona today to schedule an inspection or roof repair.